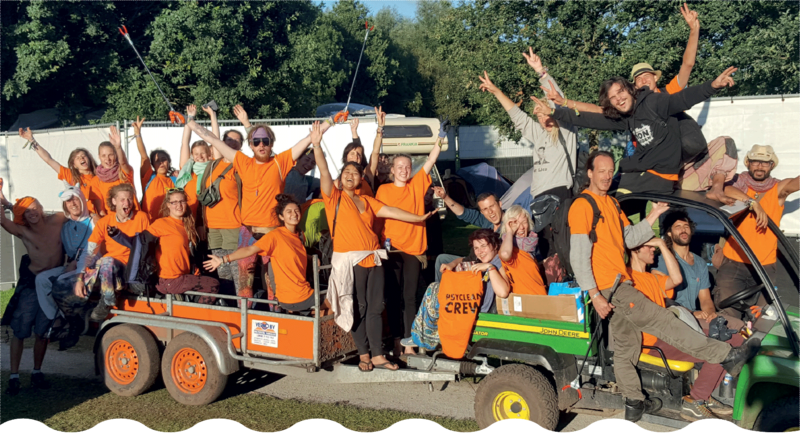 Our crew is made up from the very people who visit the festival. All of them are part of the problem and the solution at the same time. This way every member of our team understands their part in our efforts and can make the most of it. To be Psyclean it takes a special kind of human. We are carefully choosing these individuals from all applicants to ensure, that we have a great team, but also that every team member enjoys their stay with us. For some it’s normal to work and party, for others it’s a welcome challenge, yet others will find it terrible. To ensure it’s fair for all, there are some requirements. IT’S CLEAR you will have less time to party as a volunteer. However, you will also have a very different festival experience, due to your contribution, but also because of the benefits you will enjoy during your stay with us. will enjoy during your stay with us. Those who fulfill their tasks as promised & stick with us until the end receive a full refund of their festival ticket. Here you can apply for the events of this season. Just click on the festival for basic info & a link to our application form. Happy hunting!